alaTest har samlat in och analyserat 32 tester för LG 7kg Direct Drive F14B8QDA. Det genomsnittliga betyget av denna produkt är 5.0/5, att jämföra med genomsnittsbetyget 4.3/5 för produkter i samma kategori. 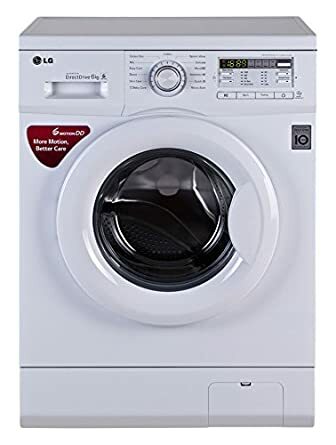 "Very quiet takes a large load plays a little tune when it's finished easy to use clothes come out nearly dry on the 1400 spin"
Great washing machine so easy to use and so quiet. The time delay feature has been really useful so I can set the machine to wash the load for when i get up in the morning! "Great washing machine so easy to use and so quiet. The time delay feature has been really useful so I can set the machine to wash the load for when i get up in the morning!" "We have had this product for two weeks and it has been brilliant.. Quite, esay to use and clothes come out not creased as well when selecting the crease care button"